We’re back with another man in Capcom’s mobile game, Toraware no Palm, although this time it’s actually called Toraware no Palm Refrain and it’s a whole new app. This post follows the same format as my previous ones on Haruto and Aoi so WARNING: will contain massive spoilers in the summary section below so don’t read if you’re going to play this (also some CG spoilers)! This entry was posted in Capcom, Otome Games, Toraware no Palm and tagged Capcom, Ishikawa Kaito, Mobile. Welcome to Aoi, the second character released in Capcom’s mobile game, Toraware no Palm. This post follows the same format as Haruto’s post and WARNING: will contain massive spoilers in the summary section below so don’t read if you’re going to play this (also some CG spoilers)! 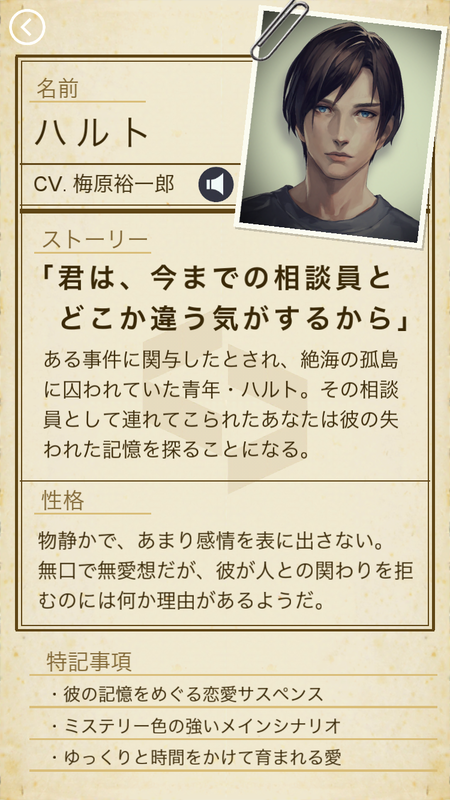 This entry was posted in Capcom, Otome Games, Toraware no Palm and tagged Capcom, Mobile, Uchida Yuuma. 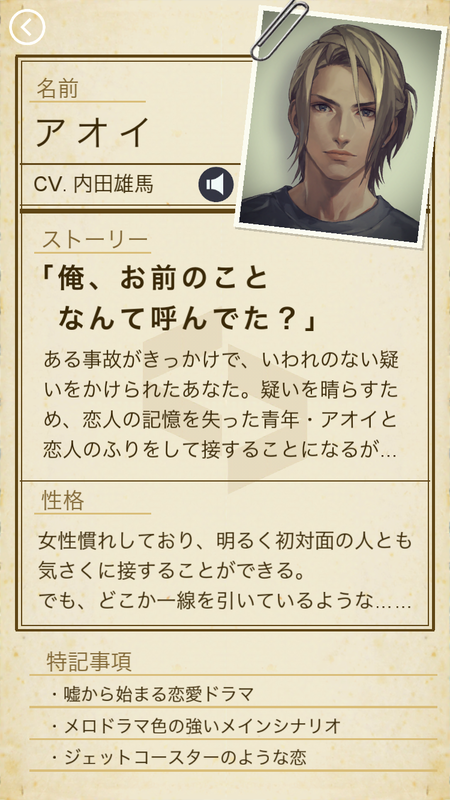 Haruto is the first character that was released for Toraware no Palm. I would normally do a short description of what he is like as a character but this profile image above does all the work, so I’ll just straight up translate that below. Also, apologies for the image spam and how much space they take (vertical images are so hard to scale). WARNING: There’s going to be massive spoilers in the summary section below so don’t read if you’re going to play this (also some CG spoilers)! This entry was posted in Capcom, Otome Games, Toraware no Palm and tagged Capcom, Mobile, Umehara Yuuichirou. I’ve been playing this game for the better part of 2 months and ended up really enjoying it so I figured, eh, why not write a post? I’ll be doing a short introduction post about the game and its elements, and then two more posts summarizing the two routes and my experiences going through them. Also, I haven’t found many reviews on this game except for the amazing Bunny, who did an in-depth review on the game play, extras, and Haruto’s route, so please check out Bunny’s blog HERE too! This entry was posted in Capcom, Otome Games, Toraware no Palm and tagged Capcom, Mobile.